Nintendo of Europe recently updated its website with a new "Iwata Asks" interview which focuses on the "handheld history" of one of the company's most famous franchises: The Legend of Zelda. This time around, Satoru Iwata, president/CEO of Nintendo Co., Ltd., chats with Eiji Aonuma, Toshihiko Nakago and Takashi Tezuka. * According to Nakago, The Legend of Zelda's second quest was the result of a mistake made by Tezuka. “I created the data exactly in line with [the map], but then Tezuka-san made a mistake and only used half of the data. I said, ‘Tezuka-san, there’s only half here. Where did the other half go?’ and he was like, 'What?! Oops, I messed up…’ But Miyamoto-san said it was fine just like that. So, using the half of the memory that was left over, we decided to create the Second Quest." * The characters in Link’s Awakening were inspired by those in David Lynch's TV series, Twin Peaks, according to Tezuka. "At the time, Twin Peaks was rather popular. The drama was all about a small number of characters in a small town. I wanted to make something that, while it would be small enough in scope to easily understand, it would have deep and distinctive characteristics." * The Zelda games created by Capcom (Oracle of Ages and Oracle of Seasons) started out as a remake of the title that started it all. "At that time, Yoshiki Okamoto was at Capcom, and he wanted to make a Zelda game," Tezuka says. 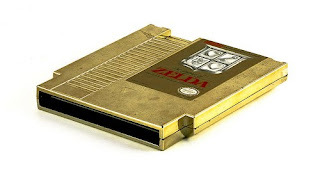 "The plan was to create a remake of the first The Legend of Zelda. Then, while we were talking about it ... I could sense their enthusiasm for the series, so I thought we could trust them with it. We had them make Oracle of Seasons and Oracle of Ages." How very interesting! I love that interview series.